Florida Girl in Sydney: Surprise: We Are Moving Back to Sydney! Surprise: We Are Moving Back to Sydney! "Well I didn't see that coming-- like a baby with a mustache." So yes, it's official... we are moving back to Sydney! I could not have imagined this would be happening! And so it begins... The Re-Aussiefication of Us. 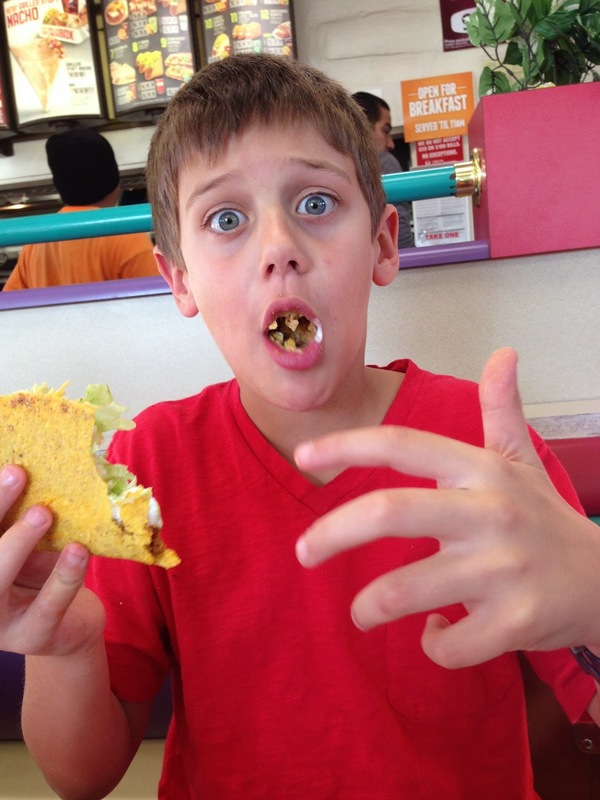 Kind of wishing I hadn't taken him to Taco Bell for the first time recently-- shoot! He's going to be so mad when I tell him there's no running for the border in Sydney. And San Francisco has been amazing, though it was sad that the boys' Aussies accents were gone within a couple weeks of our US return :( . 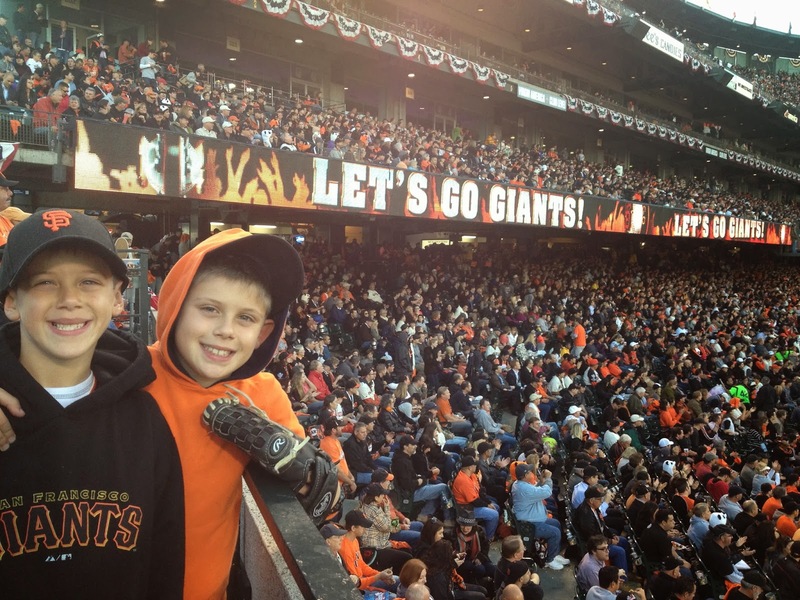 The kids played little league and were completely obsessed with baseball; not to mention the awesomeness of the Giants winning the World Series, and the 49ers going to the Superbowl the same year we moved here. Ah-mazing. 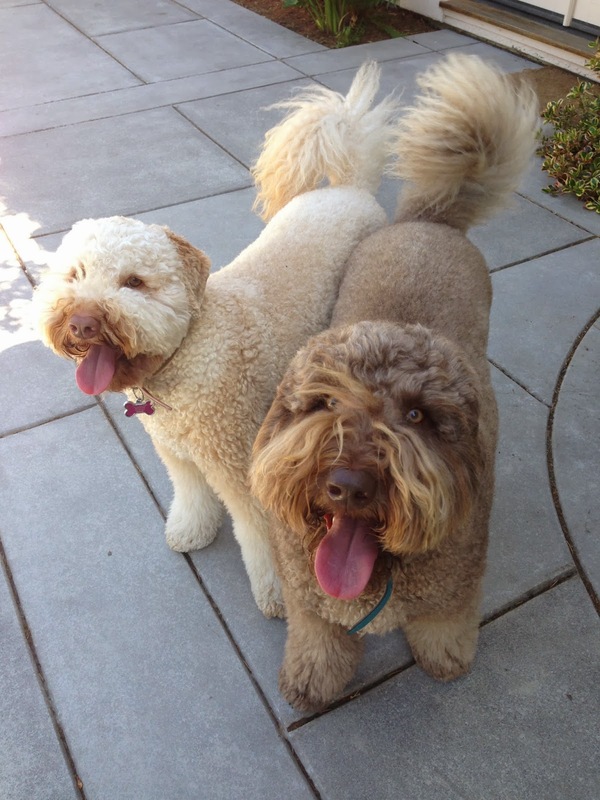 I think the dogs will be super happy with this news-- they are Australian Labradoodles after all. And if our luck wasn't already fantastic enough, they just changed the quarantine laws in Australia from approximately 30 days minimum to around 10 days! Sometimes it just all goes smoothly, and you know it's really meant to be. In my head, moving to Sydney a second time seems infinitely less daunting, and easier in every way imaginable. We have our old barbershop, dentists, doctors, school and favorite (or "favourite" as my kids will soon relearn) brekkie spots. I am already adjusting my lingo-- we've recently brought back words like petrol and whinge in our house (that's Aussie for "gasoline" and "whine" for my Ameri-friends), and somehow the word "jumpers" was just too ingrained in us, and had never left. This time I know what staples to stock up on and bring with us; and conversely, what products I can easily find at Aussie Woolworths, Coles, Bondi Junction, or the glorious Costco Australia. Here we go... Australian Adventure Part Deux. 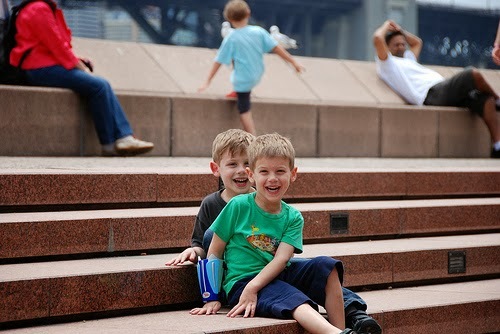 The boys at the Sydney Opera house, probably around 3 & 4 years old. Our big 8 & 10 year olds now: gorgeous, fun, smart, hard working, and last but not least-- adaptable. Wow, just wow. 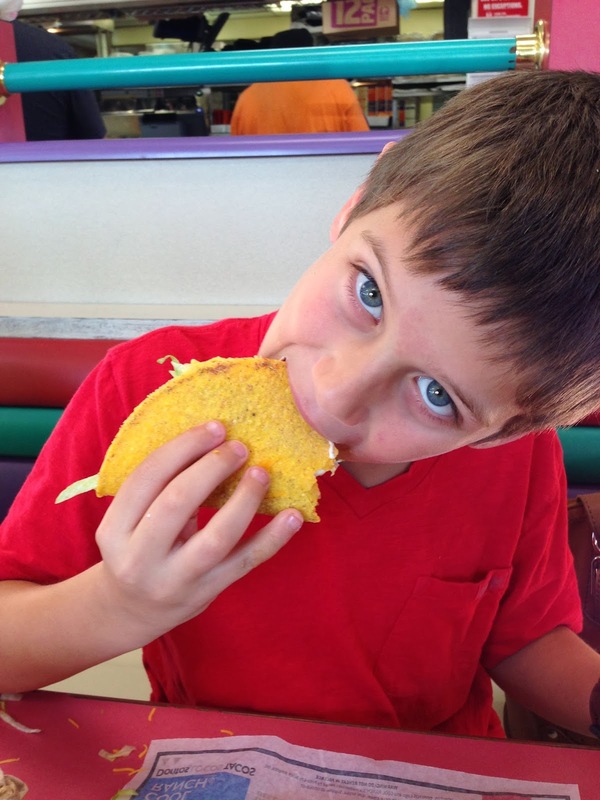 At least there won't be the culture shock you may have experienced the first time, right? 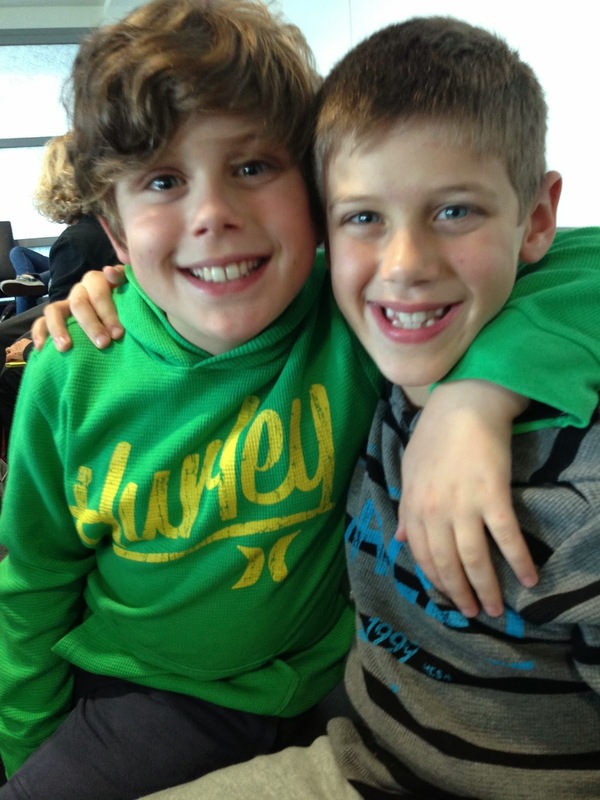 I can NOT believe how big the boys are!! Holy cow! Very cool! Hope this is good news all around. Sydney's pretty much just as you left it. No worries, I'll look after the Bay Area for you from my perch in San Jose. Have a pie or two for me at Harry's de Wheels! Wow - that's great to hear and I'm sure we'll all welcome you back with open arms. At least this time you won't have so much translation to go through. Good luck with the move. Wow, the boys have grown up so much! Hope everything with the move goes well, and thankgod they changed the laws for the dogs, 30 days is wayy to long to be apart!! How funny!! Do you know for how long this time around? :) I look forward to your posts once again! I only started reading right before you announced you were moving back to the states. From Texas, welcome back to stateside. I've discovered your blog by accident but I love the charm of it. Since you are moving back to Sydney, I should let you know that the best chicken burger (portuguese burger) is not Oporto. Look up Petersham portuguese chicken or silvas in petersham. Well, we want details. When? Where in SYD will you be living? Will you still be a Giants fan? This is so funny as I just found your website searching for Blue Lizard sunscreen over here in Australia thinking of course it was made in Australia - yet I found your post that it isn't. We are Americans who have just moved to Sydney with 4 kids. Congratulations on moving back!! Hope it is all going smoothly for you. The suspense is killing me/us!